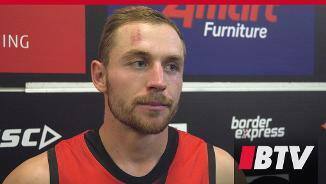 Devon Smith says reverting to simply having fun was a key catalyst for the side’s sensational 18-point victory over Melbourne on Friday night. 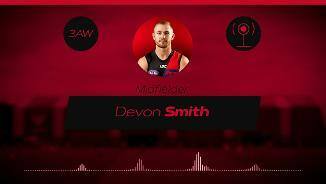 Devon Smith says a new system and further improvement of Essendon’s versatile midfield group will allow him to hit the scoreboard more in 2019. Former Giant who couldn’t have asked for a better individual season during his first year at The Hangar, taking home the 2018 Crichton Medal after being provided greater midfield opportunities at his new club. 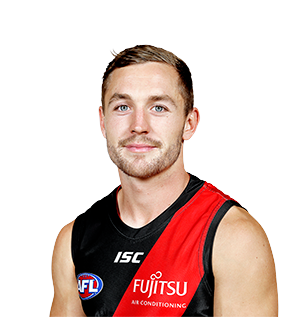 The savage on-baller was an impressive force through the middle of the ground for the Bombers, laying 186 tackles – a club and league home-and-away season record – and averaging 22 disposals and 8.5 contested possessions. But it wasn’t just the midfield brigade that benefitted from the addition of Smith to the line-up, with the 25-year-old booting 17 goals and directly assisting another nine. 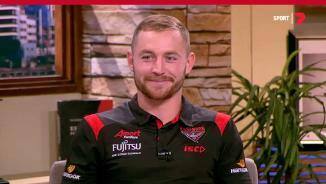 With a year of experience under his belt at the club and a greater knowledge of his teammates, there is a lot to look forward to from Smith in 2019.